8 AXMINSTER RD, Muizenberg: Rootspring – Vilcabamba, 26 Apr, 7.15pm. https://www. quicket.co.za/events/70529-vilcabamba/#/ BYOB. S Sessions Jamie Jupiter, Robin Auld, Sun 5 May, 6.45pm. ALEXANDER BAR, 76 Strand St, 021 3001652: Blessing Tabang, G stickz, Feoluwa, Uduak EJ, Sat, 27 Apr, 7pm. R110, prepaid R100. ALPHEN HOTEL, Constantia, 021 795 6300: Blake Hellaby Trio, Sun 28 Apr. 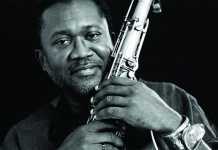 ALLIANCE FRANÇAISE, 155 Loop St, 021 423 5699: Afrika Mkhize, Salim Washington, Fri, 26 Apr, 7.30pm. ALMA CAFÉ, 20 Alma Rd, Rosebank, 021 6857377: Toast Coetzer, Skree Alleen, Fri 26. McCoy Mrubata, Paul Hanmer, Sat 27. Blacksmith, Sun 28 Apr. ATLANTIC BEACH COUNTRY CLUB, Melkbosstrand: Mark Haze Tribute to Bon Jovi and the Masters of Rock, Sat, 25 May, 6pm. BATTERY PARK CANAL, V&A Waterfront: Battery Park Sunset Series – Tiffany Joseph, Fri 26 Apr, 4pm – 8pm. BAXTER, Rosebank: Cape Town Marimba Festival, Fri, 26 Apr, 7.30pm. http://ctbigbandjazzfest.co.za/marimba-festival/ Cape Town Steelband Festival, Thurs, 25 Apr, 7.30pm. http://ctbigbandjazzfest.co.za/steelband-festival/, 082 451 3696. Cape Town Big Band Jazz Festival, 29 May – 1 June, 7.30pm. R140, R80 students. BAY HARBOUR MARKET, 31 Harbour Road, Hout Bay: 3 Tons Of Fun, Fri, 26 Apr. Ruby June Sat, 27 Apr. Radiophonia, Sun, 28 Apr. BERTIES MOORING, Boardwalk Harbour Island, Gordon’s Bay, 021 856 3343: Mark Haze Live, Fri, 26 Apr, 9pm. CAFE ROUX, Farm Village, Noordhoek: Mel Botes, 24 Apr. Sean Koch, Fri, 26 Apr. Best of Rock Steady, 30 Apr. Depeche Mode Tribute – Music 4 The Masses, 3 May. 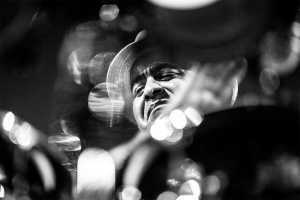 CAFE ROUX, 74 Shortmarket St, 021 789 2538: Mae Sithole, Wed 24 Apr. Frank Freeman, Thurs 25 Apr. Stoker Vinyl, 26 Apr. 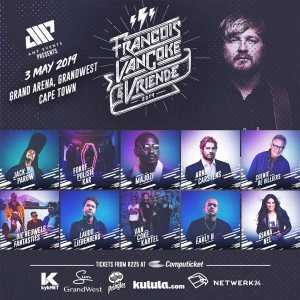 CLANWILLIAM DAM, Oh Dam Music Festival 2019 – Rockets, N2, Jeodhouse, Vuvu Khumalo, Donveno Prins, Zami, Koekie, Loren Erasmus, Uncle Cal & 3 Tons of Fun, Phakama Arts, Lee Stagg & Brent Krus, Mofunk, Jabez, Sugar Daddy, Ladgen’s Tribute Band, DJ Portia, DJ Rory, Stan the Jazzman, 25 – 28 Apr, admin@camissa.org.za, 021 591 5208. CRYPT, 1 Wale St: Blue Print, Wed 24 Apr. Rendition, Thurs 25 Apr. Afro Fiesta, Fri 26 Apr. Sylvia Mdunyelwa, Sat 27 Apr. 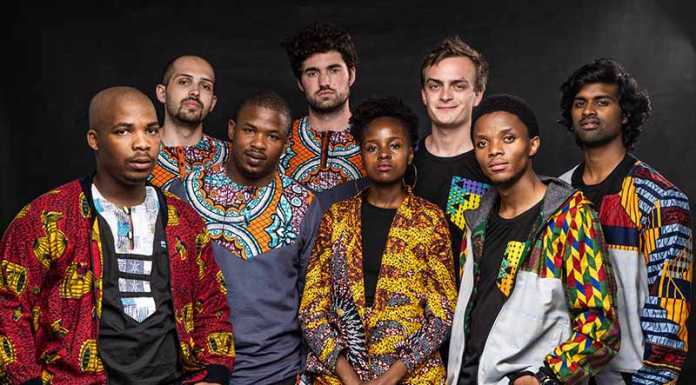 DE WAAL PARK, Upper Orange St, Gardens: Concerts in the Park Cape Town – Rudimentals, Gugulethu Tenors, World of Birds, Congo Cowboys, Bushfire, Sun, 28 Apr, 1pm. R20. www.computicket.co.za. DIE BOER, 6 Chenoweth St, Durbanville, 021 979 1911: Richard Pryor Band, 30 Apr, 8pm. DRAMA FACTORY, Asla Bus Park, St: Mel Botes Best of Both, Sun, 28 Apr, 4pm. DURBANVILLE GOLF CLUB, Sport Way, Durbanville, 021 976 8120: The Thunderbirds 60’s & 70’s rock ‘n roll, Boulevard Blues, 27 Apr, 8pm. R120. Tables 021 9768120. EARTH FAIR MARKET, South Palms, 333 Main Rd, Retreat: Gordon Mackay, Wed 24 Apr, 6pm. EDGEMEAD BOWLING CLUB, 061 490 1694: One 4 the Road, BackBeat, Sun, 28 Apr, 3pm. R50. 061 490 1694. BeeGees Tribute – 1925 Band, Beatles Tribute – 4Play, Sun, 5 May, 3pm. R80. 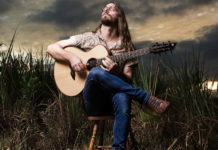 FALSE BAY FOLK, Clovelly Country Club, 177 Clovelly Rd,083 309 9907: Seb Goldswain, Brian J Easton, Tues, 7 May, 7.30pm. FERRYMANS, V&A Waterfront, 021 4197748: Virgil Ellis, Tues 23 Apr, 8pm. Llevado, Wed 24 Apr, 8pm. Beat Charmers, Thurs 25 Apr, 8pm. Lucky Break, Fri 26 Apr, 8.30pm. Llevado, Sat 27 Apr, 2.20pm. Rock Steady, Sat 27 Apr, 8.30pm. Gabriel Shai, Sun 28 Apr, 2.30pm. Robust, Sun 28 Apr, 8pm. Latin Kings, Mon 29 Apr, 8pm. 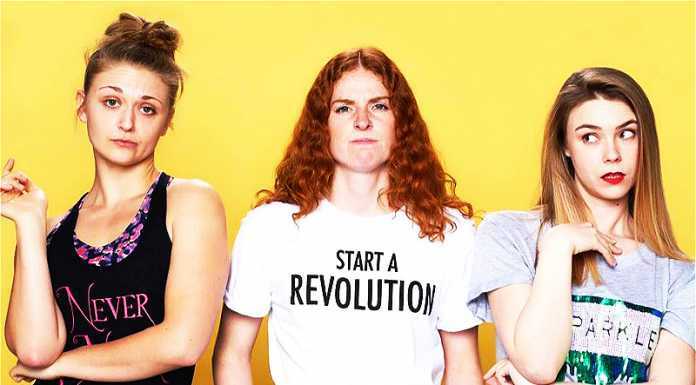 Wasted Youth, Tues 30 Apr, 8pm. GUGA S’THEBE ARTS CENTRE, King Langalibalele St, Langa, 060 960 8935: SAJE Festival – Florence Chitacumbi, Mino Cinelu Tour, Afrika Mkhize, Salim Washington, Sun 28 Apr, 3pm. HANKS, 110 Bree St, 021 422 2770: Lumanyano Unity Mzi Quartet, 30 Apr. HARRINGTONS, 61B Harrington St, 021 461 2276: Liam McDermott, 25 Apr. DJ 10pm. 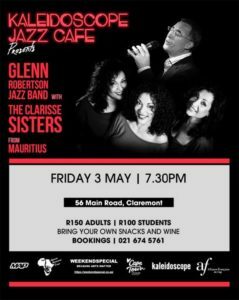 KALEIDOSCOPE CAFE, 56 Main Road, Claremont, 021 674 5761: Clarisse Sisters, Fri 3 May, 7.30pm. R150, R100 students. MARIANNE WINE ESTATE, R44 Paarl, 021 875 5040: Sunday Wine Set – Tribal Echo Trio, Sun, 28 Apr, 3pm. R80 includes tapas. 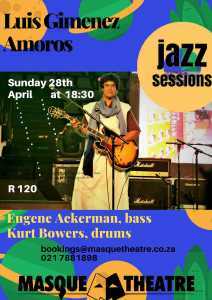 MASQUE THEATRE, 37 Main Rd, Muizenberg, 021 7881898: Luis Gimenez Amoros Hispano/SA band with Kurt Bowers drums, Eugene Ackerman bass, 28 Apr, 6.30pm. MURATIE WINE ESTATE, Stellenbosh, 021 865 2330: Adelia Douw & Ian Smith, 27 Apr, 2.30pm. R130. Lunch 1pm. NEELSIE, Stellenbosch: Professors, Fri 26 Apr 12pm. 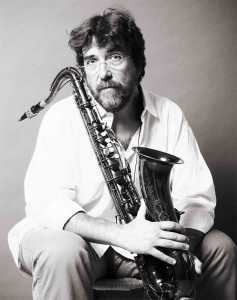 PIGALLE, Green Point, 021 421 4848: Gavin Minter Quartet, Wed, 24 Apr. RED HERRING, Beach Rd Noordhoek, 021 789 1783: Gordon Rocker, Tues, 7pm. 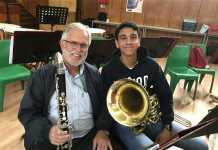 V&A WATERFRONT, Amphi: Meander Big Band, Sat 27 Apr, 7pm. WINCHESTER MANSIONS, 221 Main Rd, Sea Point, 021 434 2351: Weekly jazz, Sun, 12pm.